A torpedo, oval, or pear shaped fruit. 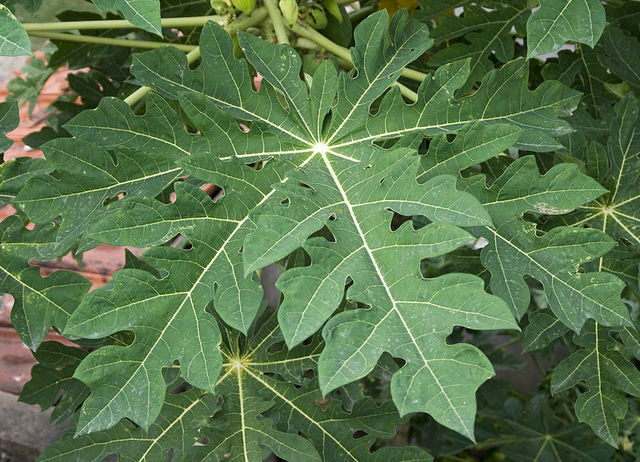 The fruit bears on a large leafed tree up to 10m tall. When green, it is cooked as if a vegetable. 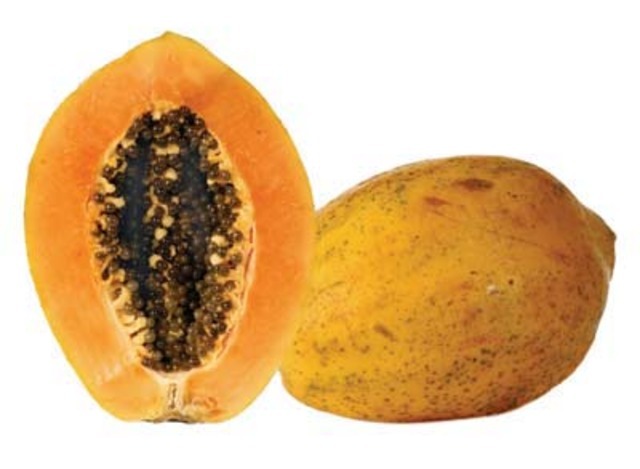 The flesh contains an enzyme named papain that serves as an effective meat tenderiser. 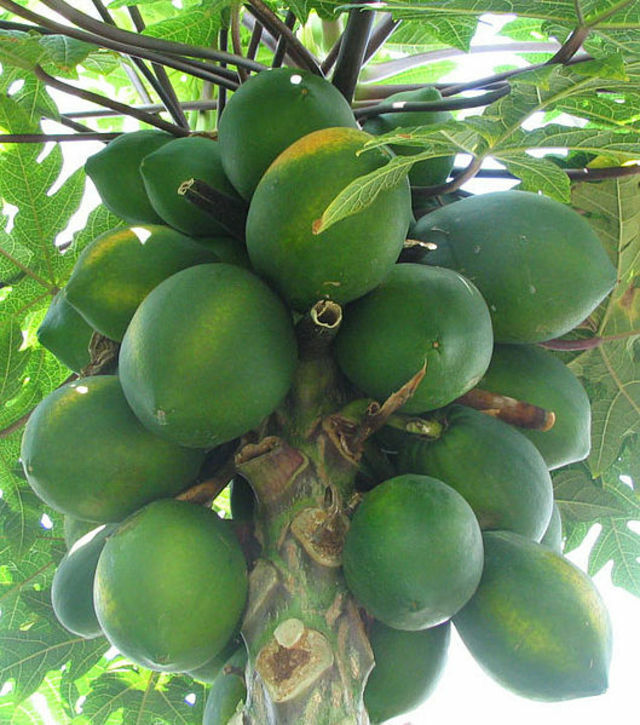 When ripe it is yellowish-orange in colour. The flesh is bright orange, soft, and sweet. The insides are hollow containing a lots of seeds with each seed contained in a small liquid filled sac. The seeds and the fluid surrounding them have a bitter taste.